Bon Chef Stainless Steel Plain Design Soup Tureen with Round Handle, 8 3/4 inch Diameter -- 1 each. 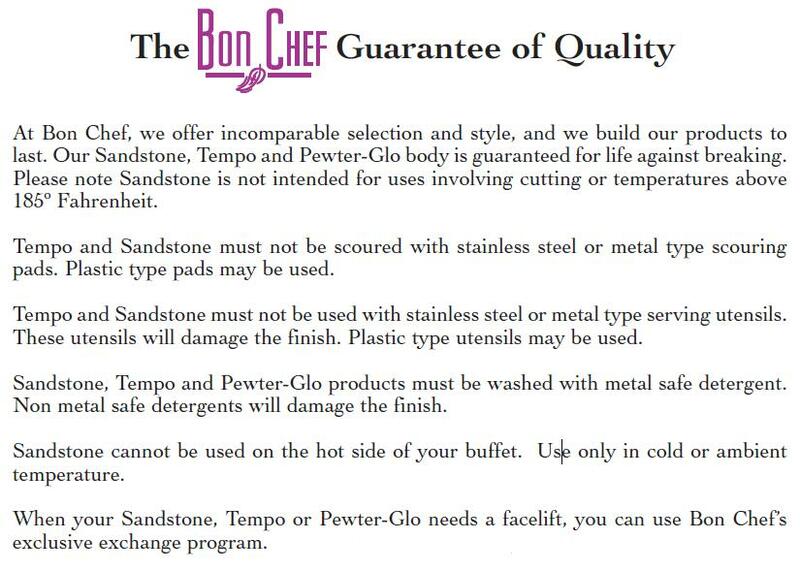 Bon Chef maintains a large variety of stainless steel food warming equipment. All our food warming equipment is available with or without handles. Whether you are searching for cookware for induction stoves or any other cookware equipment, you have come to the right place. We have a large inventory of food equipment and supplies in stock and ready for delivery. Made from stainless steel, food equipment and supplies are highly durable, scratch resistant and rust free. Because of so many advantages, stainless steel food warming equipment is loved by Chefs worldwide.